They offer a 20% discount on all their hotels for week-end stays (Thursday to Sunday) until 31 December 2014. These week-end rates also include breakfast. The deal is valid for members of their loyalty programme. 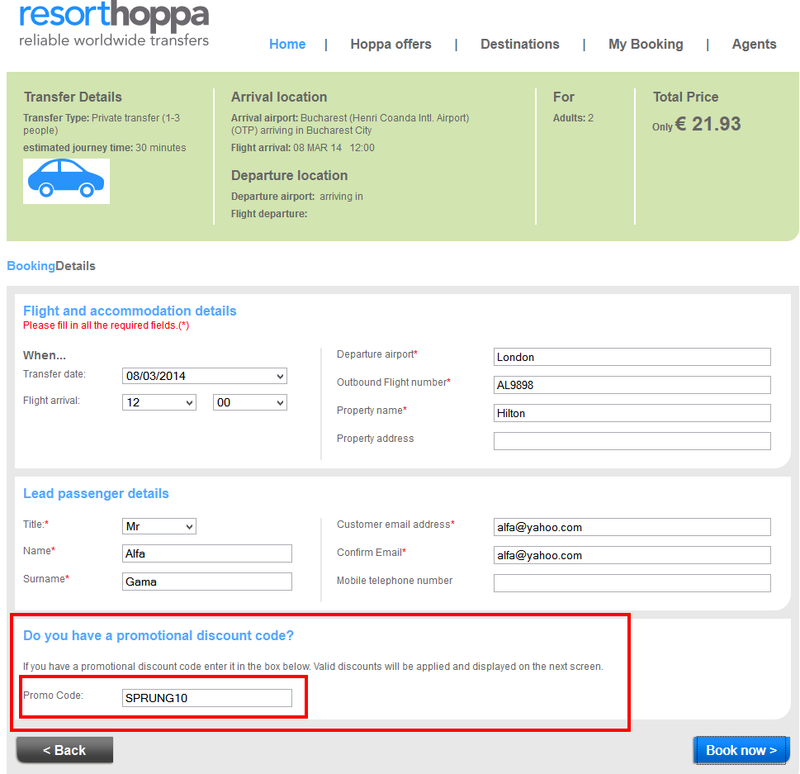 It's free to join and you do it during the booking process (below your contact details; in the section "Scandic Friends". These rates start at £ 59 per night and include breakfast. They are non-refundable, so book only if your itinerary is certain. We checked a couple of properties and this sale offers, on average, a 20% discount plus free breakfast, when compared to what you can book on other travel websites. Definitely, this spring everybody offers a 3 for 2 promotion. After our previous Hyatt and Accor posts, now it is the time for a Marriott similar promotion. Click on the links above to search for your preferred travel dates. No code needed. The promotional rate will be displayed "Weekend Spring Promotion". When you make the reservation, the total rate will include also the third night, but this will be discounted at check-out. So, when paying at the hotel, you will only pay for the first two nights. The rates are flexible, so the reservation can be cancelled until the day of arrival. We do not travel to France for holidays very often. And one of the reasons is the very poor availability of good quality / price hotels. In France one usually finds either very expensive 4 star hotels, either low quality budget chains. Under these circumstances, we find the Ibis Styles chain to be the best hotel chain in France. Ibis Styles is a rather new concept for the Accor Hotels group (which owns also more up-market chains such as Mercure, Novotel, Sofitel). It was previously called All Seasons, but with the recent rebranding it became Ibis Styles, the third Ibis brand, along with the former Etap Hotels now called Ibis Budget. - most of them have a central location, so it is convenient both for tourists, as well as business guests. A full description of the hotel concept is available here. In France, we have so far we have stayed at the Ibis Styles Nantes Centre Place Royale, Ibis Styles Grenble Centre Gare and Ibis Styles Lyon La Part Dieu. We have also stayed at two of their properties in Germany: Ibis Styles Dusseldorf Neuss and Ibis Styles Berlin Mitte. We booked those rooms at a 50% discount during the regular Accor private sales, otherwise in Germany one can find better hotels at the same price. So, when travelling throughout France, check-out also the Ibis Styles hotels when looking for your accommodation.